bast fibre from the stems of various tropical plants of the nettle family. The fibre has an uneven, kidney-shaped cross-section, which is remarkable for its high extensibility, elasticity, and biological fastness. 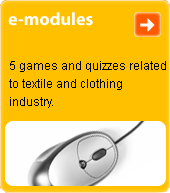 Used in the production of strong, lightweight fabrics for table linen, dishcloths, and - mixed with cotton - clothing fabrics.